The political ground continues to shift in the Presidential race. 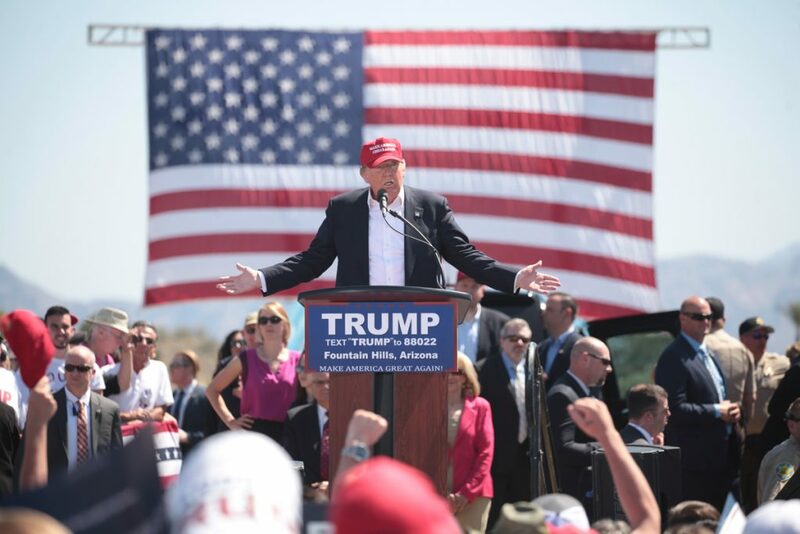 Just weeks ago, the media wrote off the race as hopeless for Republican nominee Donald Trump. But new polling show that not only has Trump closed the gap on Hillary Clinton, but that he has surpassed her. The Los Angeles Times/USC Tracking poll has been published daily since July. And in the past two days, Trump has opened up a significant lead. On September 11th, Hillary Clinton held a one-point lead. Two days later, it had swung to a five-point advantage for Trump. This shocking turn came in the wake of Hillary referring to half of Trump’s voters – which could be over 30,000,000 Americans – as “deplorable” and “irredeemable”, and her collapse due to poor physical health at the 9/11 memorial ceremony. The second poll that made pundits sit up and take notice was a Bloomberg Poll of Ohio. This survey found Trump ahead 48% to 43% in the pivotal Buckeye State. “Donald Trump leads Hillary Clinton by 5 percentage points in a Bloomberg Politics poll of Ohio, a gap that underscores the Democrat’s challenges in critical Rust Belt statesafter one of the roughest stretches of her campaign. The Republican nominee leads Clinton 48 percent to 43 percent among likely voters in a two-way contest and 44 percent to 39 percent when third-party candidates are included. The poll was taken Friday through Monday, as Clinton faced backlash for saying half of Trump supporters were a “basket of deplorables” and amid renewed concerns about herhealth after a video showed her stumbling as she left a Sept. 11 ceremony with what her campaign later said was a bout of pneumonia. The internals of the poll also contain some warning signs for Hillary. By a 49% to 45% margin, Ohio voters think it would be a good idea for Trump to enforce immigration laws more strongly than President Obama and create a deportation force to remove millions of illegal immigrants. And 57% of Ohioans agree that the North American Free Trade Agreement, which was implanted under former President Bill Clinton, has done more to entice Ohio companies to move jobs overseas, compared to just 20% who believe it has done more to create jobs in Ohio. Ohio voters moving against the globalist agenda is bad news for Hillary Clinton. Trump has made populism and “America First” his campaign themes. Voters in Ohio – and across the nation – appear to be rallying to his message, meanwhile, Hillary Clinton’s campaign is collapsing under the weight of scandal, lies, and poor health. The vote in Ohio also could be a harbinger of things to come in the Midwest. The heartland is seen as Trump’s best chance to victory. He leads in the Real Clear Politics polling average in Iowa. And the Bloomberg poll finds him with a significant lead in Ohio. If Trump can unlock the middle of America – which Democrats have won the last two Presidential elections – than he stands a good chance of winning the White House.